Asvape Aim-9 RDA $19.99 (USA) - Daily Vaping Deals & The Best Vape Product Reviews at Vaping Cheap! For a limited time only, the Asvape Aim-9 RDA is on sale right here for only $19.99! No coupon code required! Free shipping applies to US orders over $50. The colors available are Gold and Stainless Steel. The Asvape Aim-9 RDA has an overall diameter of 24mm, which means it will look good on most box mods and tube mods you attach it to! In addition, this atomizer is constructed out of 304 stainless Steel and includes a wide bore black POM drip tip, which is perfect for cloud chasing! The Asvape Aim-9 RDA features a 2 post build deck, so installing your coils are easy! In addition, this RDA features dual adjustable bottom airflow, ensuring excellent flavor! This atomizer does sport a gold plated 510 connection and peek insulator. 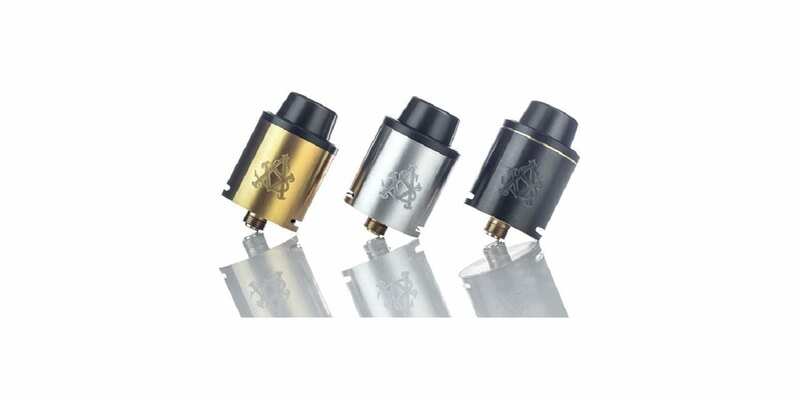 Lastly, the Asvape Aim-9 RDA includes one set of pre-built coils. All in all, this is a solid deal for the Asvape Aim-9 RDA! If you are looking for a new 24mm RDA to add to your collection for cheap, then this is a deal you cannot miss! Make sure to check out this deal at MyVPro for only $9.99! Act quickly as this sale is for a limited time only.